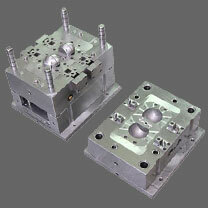 Chinese mold manufacture has so many opportunities and challenges. Cultural and language barriers along with the distance can make mold sourcing here more of a challenge than some molding companies can manage successfully. The exchange rate effect has reduced the buying power of the Pound by 20%, with that and the increased demand from their domestic market, the opportunities are not as easy to find these days.